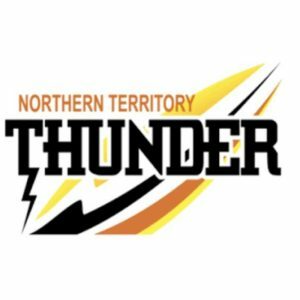 IN the last round of the South Australian Women’s Football League (SAWFL), ladder-leaders, Morphettville Park and Adelaide University both finished their seasons on high with wins on the weekend. Finals-bound Salisbury also recorded a victory, while fourth-placed Christies Beach fell narrowly to the Roos. At the end of the first quarter, Salisbury was already rueing its chances, kicking eight behinds and failing to register a goal. In the second quarter, Fitzroy capitalised on the Magpies’ struggles, outscoring them two goals to one to take the lead at half time. By three quarter time, three goals and four behinds from the Magpies kept them in the hunt, wrestling the lead back. But after three quarters of a seesawing contest, Salisbury put the foot on the accelerator in remarkable fashion, kicking eight goals to none in the fourth term to steal what ended up being a big 55-point win. 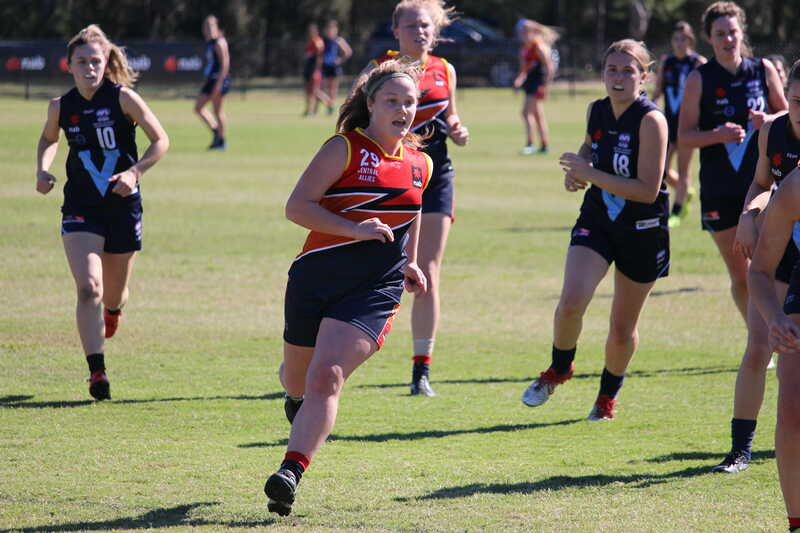 Salisbury had three players who kicked two goals in South Australia Under-18 forward, Katelyn Rosenzweig, as well as Paige Allanaand Nicole Baker. Rosenzweig’s two goals took her goal kicking tally to 22 goals from 10 games. Her under-18 teammate, Madisyn Freeman also got on the scoreboard with one major, and was named best-on-ground in the Magpies’ win. For Fitzroy, Melanie Elsegood was the only one to kick two majors, and was complemented by singles from state under-18 representative, Jaimi Tabb and Hannah Martin. All three were named in the best players as well as Jessica Foley and Gretel Ramsey. Port Adelaide has officially finished its season without a win, and was dealt a crushing final blow at the hands of second-placed Adelaide University. 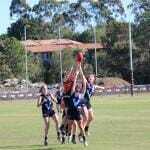 The Blacks recorded a massive 149-point win over the Magpies, which puts them in a good position heading into finals. Adelaide University kept Port Adelaide scoreless for three quarters and had an 88-point lead at half time. While the Magpies managed to keep them to just one goal in the third quarter, the Blacks bounced right back in the fourth, kicking nine unanswered goals to finish off the job at Largs North Reserve. SAWFL leading goal kicker, Kelly Barltrop did the most damage inside 50, kicking five majors for the day to take her season tally to 29 goals from 15 games. Stephanie Walker and Nadia van Bertouch also had good days inside 50, kicking four majors each. Adele Gibson kicked three goals while Jo Hill and Central Allies Under 18s captain, Esther Boles kicked two. Boles was also named best-on-ground in the big win. Despite a dour day for Port Adelaide, some solid performances created some positives out of the match. Sadie Gent was named best-on-ground for the Magpies, and was complemented by good games from Jessica Macolino, Natasha Farrier, Claire Minervini and Faye Karafoulidis. In a second versus fourth clash, second-placed Morphettville Park narrowly came out on top, recording a five-point win. The Roos got off to a good start, kicking the first three goals of the match to take a 19-point quarter time lead. But that’s where the goal-scoring stopped for the away side, as Christies Beach held the Roos to just three behinds in the next three quarters. However, it was hard for the Saints to capitalise on their defensive efforts, not scoring a goal until the third quarter. An inaccurate 2.5 meant that Christies Beach could not wrestle back the lead, going down by five points in the end. Lexia Edwards, Brownen Iona Bosley and Lisa Whiteley all got on the scoreboard for the Roos while Tallara Power and Hannah Crump kicked the goals for Christies Beach. Maya Rigter was judged best afield for Morphettville Park and Erika Sporn, Rhiley Ritchie, Leah Cutting, Lisa Whiteley and Lauren Buchanan also had solid performances. South Australia Under-18 representative, Marie Martino also featured in the win. Sarah Bourn, Czenya Cavouras, Alana Browne, Samantha Pratt, Helen Maidment and Kelly Spence were judged the best players for Christies Beach. The finals kick off next week with Salisbury taking on Christies Beach in a third versus fourth clash at Salisbury Oval on Saturday night. Meanwhile on Sunday, first and second will go head-to-head at Kellett Reserve in what should be a thrilling match.